An oral treatment option for mild-to-moderate chronic venous disease or hemorrhoids. 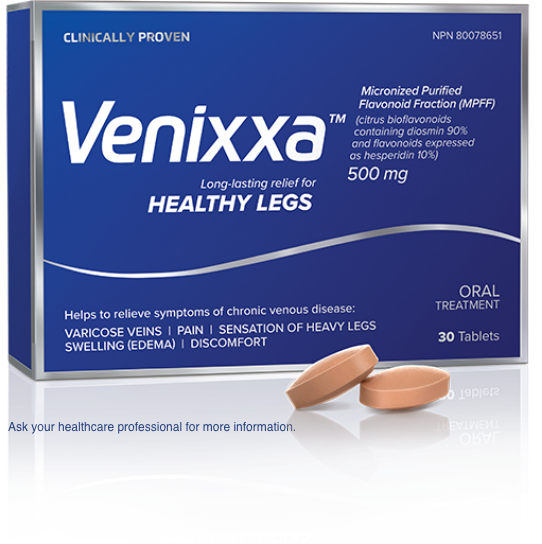 SUFFERING FROM Mild-to-Moderate CHRONIC VENOUS DISEASE? 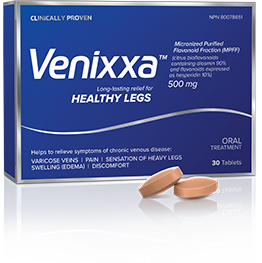 Venixxa helps relieve and reduce signs and symptoms associated with mild-to-moderate chronic venous disease. 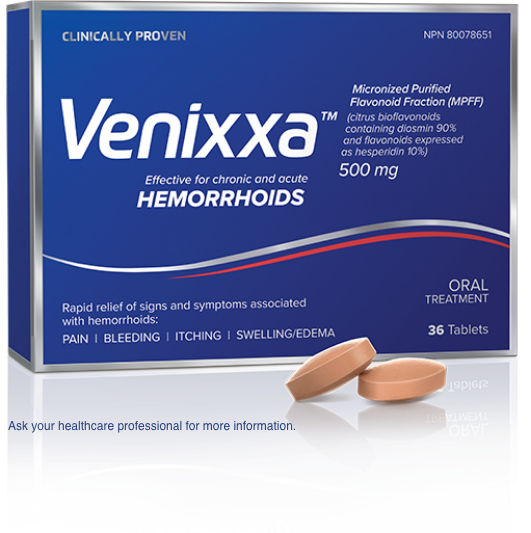 VENIXXA® HELPS REDUCE THE SIGNS AND SYMPTOMS OF ACUTE HEMORRHOIDS AS WELL AS REOCCURENCE, INTENSITY, AND DURATION.